A pathbreaking history of the development of scientific racism, white nationalism, and segregationist philanthropy in the U.S. and South Africa in the early twentieth century, Waste of a White Skin focuses on the American Carnegie Corporation’s study of race in South Africa, the Poor White Study, and its influence on the creation of apartheid. This book demonstrates the ways in which U.S. elites supported apartheid and Afrikaner Nationalism in the critical period prior to 1948 through philanthropic interventions and shaping scholarly knowledge production. Rather than comparing racial democracies and their engagement with scientific racism, Willoughby-Herard outlines the ways in which a racial regime of global whiteness constitutes domestic racial policies and in part animates black consciousness in seemingly disparate and discontinuous racial democracies. This book uses key paradigms in black political thought—black feminism, black internationalism, and the black radical tradition—to provide a rich account of poverty and work. 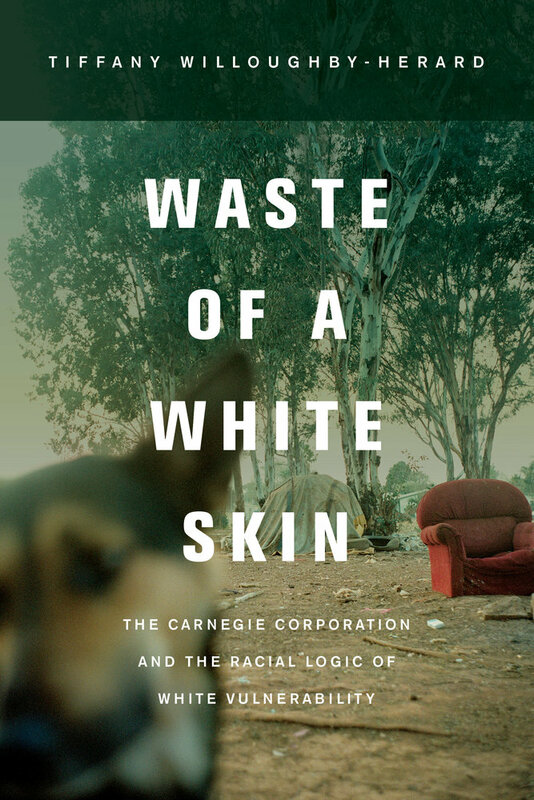 Much of the scholarship on whiteness in South Africa overlooks the complex politics of white poverty and what they mean for the making of black political action and black people’s presence in the economic system. Ideal for students, scholars, and interested readers in areas related to U.S. History, African History, World History, Diaspora Studies, Race and Ethnicity, Sociology, Anthropology, and Political Science. Tiffany Willoughby-Herard is Assistant Professor of African American Studies at the University of California, Irvine.